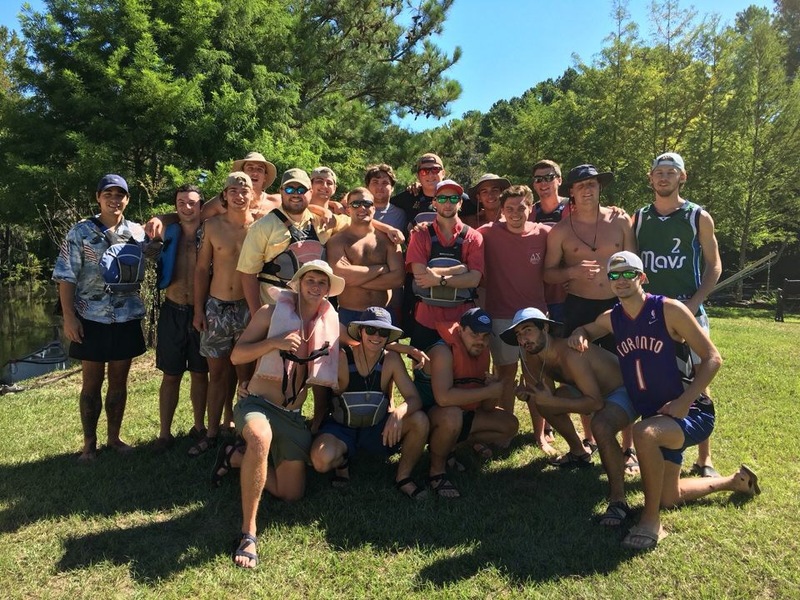 ​This past year (Fall 2016-Spring 2017) the Delta Chi Chapter at Georgia Southern ranked as second (Fall 2016) and first (Spring 2017) overall highest grade point average for all fraternities and eighth overall in the Greek Life System. As striving for academic success is one of Delta Chi's founding principles, we are incredibly pleased with our academic success!! In July 2016 we were recognized as the best Delta Chi Chapter in North America, by winning The President's Cup. This is the highest, most prestigious award in our Fraternity, out of more than 120 chapters. We are very active in the University and local community, as well as leaders within the Delta Chi nation. We have a very strong network of alumni, locally and in the Metro-Atlanta Area, which can support you now and in the future. Simply put, being a Delta Chi at Georgia Southern means you're going to have the resources and opportunities to be more successful in life. – George B. Bush, 1st Traveling Secretary for The Delta Chi Fraternity, Inc.
Our chapter has a very strong brotherhood and our various brotherhood events further this fraternal feeling. 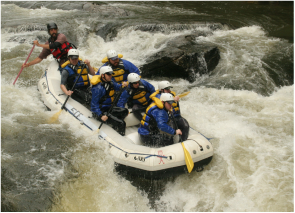 We rally around these brotherhood activities to keep morale high and excite our group as a whole. 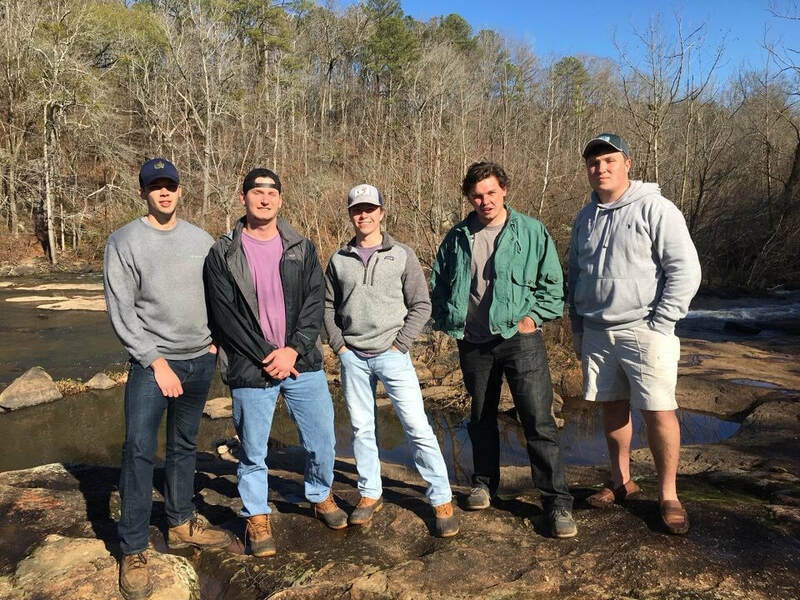 From dinners at our brand-new fraternity house property to camping trips in Helen, Georgia our brotherhood events are some of the things our members look forward to most. 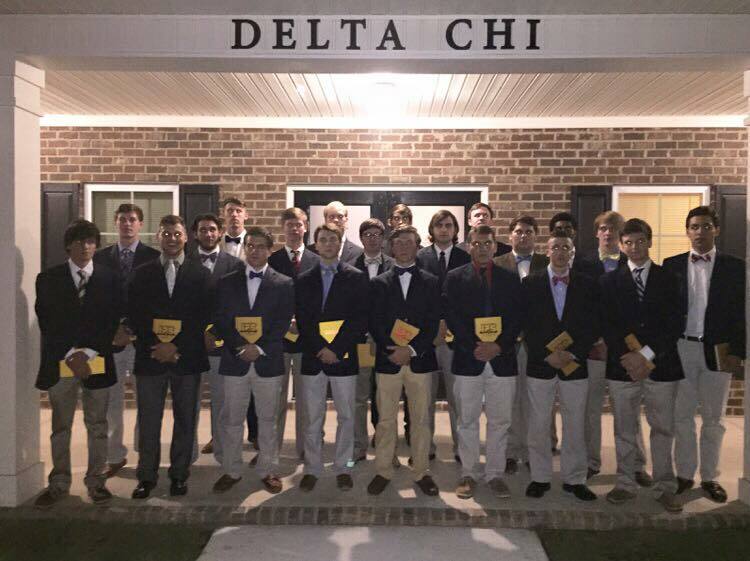 Georgia Southern Delta Chi has always put an emphasis on academics. Education is one of the most important foundations for future success. After all, the main objective of attending a University is to earn a college-level degree. Our diverse majors, minors and areas of academic focus, coupled with our age range within the chapter, creates an environment in which learning is optimized. It isn't difficult for a brother to get help in a class from a fellow brother. Academic advice from all members, and even our alumni, heightens our educational experience. Our national Philanthropy is the V Foundation for Cancer Research. Each semester we hold philanthropy events to raise money for the V Foundation. One of our most successful philanthropy events was Steak Out For Cancer which was sponsored by Steak n' Shake. We raised thousands of dollars for the V Foundation. We also support Jeffrey's Voice. Jeffrey's voice fights to cure Leukemia and other blood cancers. Jeffrey's Voice was started by Nancy Horne who is the mother of two of our brothers who tragically passed away. We continue the fight against cancer and do everything that we can to make sure that cancer research is properly funded through our various philanthropy events. Come stop by the house!